Creating a well converting Google Ads can be tough. Sometimes it can be the simplest tip that will end up saving you the most money. Today we’re going to touch on 7 of the best tips to increase your conversions with Google ads. The first tip would be to have good images that stand out to your potential customers. Search some of the keywords relevant to your product and check out the other products already out there. Make sure that your photos are relevant to what is being searched, but also make sure that your image draws in the customer’s attention. Next, you’re going to want to make sure that your titles are keyword rich. This means that your title needs to be packed full of keywords that relate to your product and are going to attract buying customers when they search that keyword. Negative keywords are another huge component to driving your conversion rates up. It’s important to note which keywords fail to give you sales when searched. Since Google charges you based on when a customer clicks your ad, it’s important to note as many negative keywords as possible so that you’re not wasting money on a customer that isn’t going to buy from you anyways. Another great thing to do is remarket to these customers. Note which keywords are being clicked on and remarket that out to that demographic. It’s always important to review and adjust your ads as well. Check out which keywords are performing well and which keywords are not. If you’re noticing that one keyword is not performing well, turn it into a negative keyword. If you’re noticing that one keyword is doing very well, turn that into a text AdWord. A text AdWord is a Google ad shown at the top of the page when your keyword is searched, and this might just catch a customer’s eye and drive them to your landing page. Finally, create multiples of your ad. 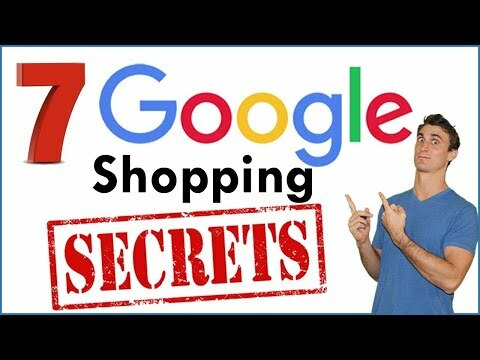 You can rename your product as many times as you’d like with different thumbnail images so that your product dominates the keyword search page. Also, as a bonus tip, create separate campaigns for your mobile and desktop traffic. It’s great to note which keyword are performing better on desktop versus mobile, this is another great way to increase your conversion rates. Create Separate Campaigns For Mobile and Desktop Traffic.